As we all know, Wally Bear likes to hibernate when it becomes winter as all bears do. 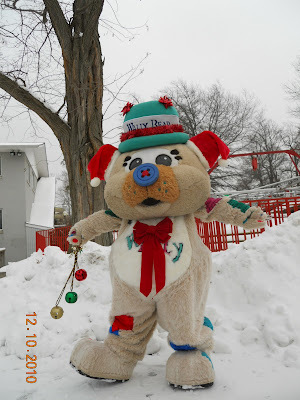 Since the 2010 season has ended, that is exactly what Wally Bear has been doing. Until recently. All the commotion and construction of Waldameer's new North End must have jolted Wally Bear out of his winter slumber! Realizing everything that he missed since the summer, he couldn't help getting excited for the Holiday Season and Waldameer's new expansion! "There is no way I can fall back asleep now!" Wally strolled through the snow covered park to the North End and much to his surprise, he found more than he was expecting. He was amazed at the progress that Waldameer had made constructing the North End and shook hands with many of the workers. But even more surprising were the extra helping hands that were from the real "North End", the North Pole! That's right! Elves had appeared straight from the North Pole on a mission directly from the Man in the Red Suit himself to help Waldameer create their 2011 expansion. It was hard to catch a glimpse of the little elves as they sped around the construction site. But one picture was finally captured of the magical creatures and Wally Bear! Waldameer workers, Wally Bear and if you look really closely, you can see Santa's Elves! 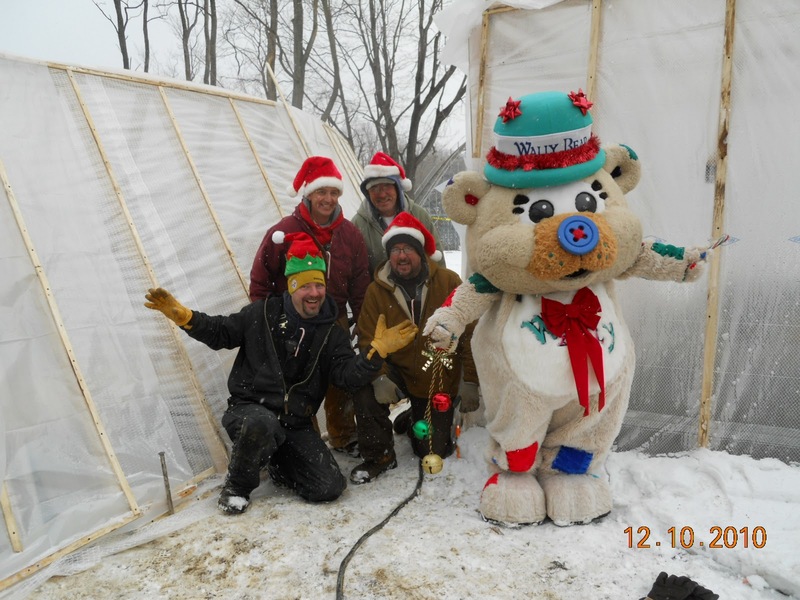 As progress continues at the North End, Wally Bear can be found lending a helping hand in construction and joking with our North Pole visitors. From everyone at Waldameer, Happy Holidays and best wishes for the New Year!